Zane Collins (@zcollins_prgirl) started her first week as the Digital Sisterhood Network (DSN) Project Manager at DC Digital Capital Week Fashion Day sponsored by SVELTE, LLC. She live tweeted during the three panels that featured 16 amazing panelists. Click here to read her fantastic blog recap. DSN had a grand time following Zane and her tweets. We learned so much about fashion and technology. Now we are as enthusiastic as Zane! Did you attend DC Week and/or DC Week Fashion Day? What did you learn during DC Week? Feel free to share your thoughts in the comment section. Thanks for stopping by! PS: Stay tuned for more blogs about DSN’s experiences during DC Week! 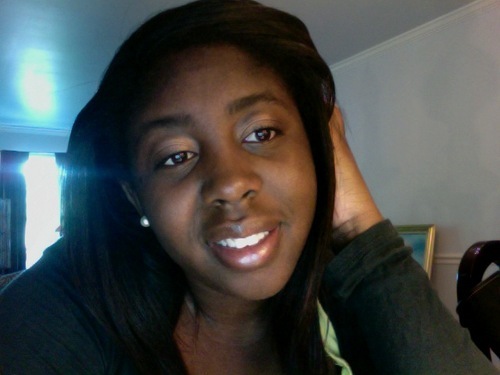 Digital Sisterhood Network (DSN) recently hired Zanetta “Zane” Collins as our new project manager. Zane is a 2011 graduate of Rensselaer Polytechnic Institute. She earned a degree in Electronic Media, Arts and Communications, an arts and communications interdisciplinary. During her collegiate career, she explored various mediums of communications and was intrigued by all facets, especially public relations. While exploring these mediums, she revamped her approach towards communications and incorporated modern-day technology such as social media. Her academic studies focused on marketing, communications, and design. They helped her integrate the lessons of graphic design and social/new media, to better every project and every proposal for the end consumer. She now offers her clients an array of new media, technology, communication, and marketing experiences. Her moxie, passion, creativity, and dedication are true gifts! As the DSN Project Manager, Zane will represent DSN and live tweet at several DC Digital Capital Week events, contribute content to the Women in PR and Communications Campaign on Cinchcast, Talkshoe.com, and Twitter, and provide project management support on Digital Sisterhood Month’s online and offline events. Be sure to follow her on Twitter: @ ZCollins_PRGirl. 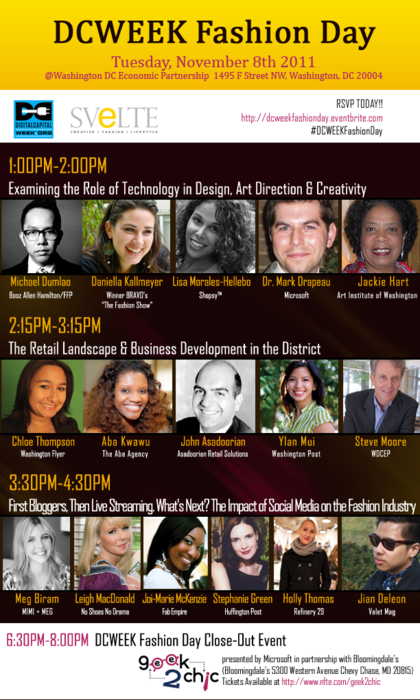 Are you participating in DC Digital Capitial Week? Do you need to unplug from your tech life for a few moments? If your answers are YES, then join Digital Sisterhood Network founder Ananda Leeke for a gentle yoga class for social media users on Sunday, November 6 from 9:00 am to 9:30 am in Malcolm X-Meridian Hill Park by the waterfall located at the 16th Street, NW and W Street, NW entrance. The 30 minute class will include kind and gentle yoga and breathing exercises that social media users can use to unplug from their tech life and toys, to release stress, and to manage their time online and offline with grace and ease. Dress comfortably in loose clothing. Please bring your own mat. If it rains, the group will not meet. Click here for more details. Digital Sisterhood Network Supports DC Week 2011! January is all about finalizing the Digital Sisterhood Network’s 2011 calendar of causes, collaborative partnerships, creative projects, and online/offline events. Digital Capital (DC) Week 2011 (November 4 to November 11, 2011) is one of the major events we plan to promote and participate in this year. DC WEEK is a 10 day festival filled with numerous events that bring together designers, developers, entrepreneurs, and social innovators of all kinds. The events are powered by the DC WEEK community and complemented by conferences, parties, and projects created by the festival organizers iStrategyLabs and Tech Cocktail. The first DC WEEK was held in June 2010 and drew 6,000 attendees from around the world. Guess what you can do today? Register for DC WEEK. It’s FREE. Registration launched today. Click here to read the DC WEEK 2011 overview. Consider becoming a DC WEEK sponsor. For more information email goto@digitalcapitalweek.org. 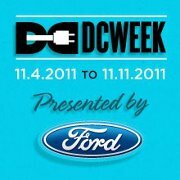 Follow DC WEEK on Twitter and use the hashtag #DCWEEK. Join the DC WEEK Facebook Fan Page. Submit an idea for DC WEEK 2011. Vote for Digital Sisterhood Network’s DC WEEK 2011 idea “The Power of Digital Sisterhood.” Click here to vote. Are you planning to attend DC WEEK? Did you register yet? Did you submit an idea for DC WEEK? What is it? Have a great January! Stop by later this week and month for more news about the Digital Sisterhood Network’s 2011 plans! It’s gonna be a great year!